I read Othello in preparation for my A2 coursework, which I'm currently working on; and I enjoyed it even more than Hamlet, which is what we studied the year before. 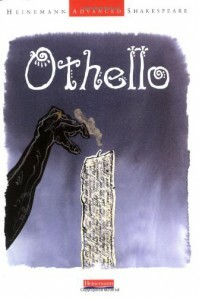 In its tale of betrayal and control, Othello is brutal in it's tragedy. Shakespeare's Iago is perhaps one of the most interesting characters that has ever been committed to paper. His motives are unclear, but his ability to act as a director of the action in the play makes you both hate and admire him at the same time.I thoroughly enjoyed this play; and would grab the chance to see it on stage.